You’ve probably heard enough about the woes of Social Security not to be counting on it as a major source of retirement income. And even if the beleaguered system stays solvent, the few thousand dollars a month a couple can expect isn’t likely to account for a large fraction of what you need to live on. Yet as meager as Social Security’s potential contribution may seem, it would take hundreds of thousands of dollars in additional savings to replace it. • During the past three decades, the average U.S. life expectancy has risen from just over 70 years to almost 78, according to the National Center for Health Statistics. Today’s average 65-year-old can expect to live to 83, and someone now 70 may survive until 85. • In 1945 almost 42 workers paid into the system for every person receiving benefits, according to the Social Security Administration, while by 1995 that ratio had fallen to 3.3 to one. • By 2020, when the bulk of baby boomers have retired, there will be just 2.4 employees per beneficiary, Social Security data indicate. Congress has already tweaked the system. It’s has raised the minimum age at which beneficiaries will be eligible for full Social Security benefits. Today, only those born before 1938 can receive full benefits at age 65. If you were born between 1943 and 1954, the official Social Security retirement age is now 66, and it increases two months a year for those born in 1955 through 1959. If you were born in 1960 or later, you won’t be eligible for full benefits until age 67. More changes could be in the offing, including a retirement age as high as 72; a means test for beneficiaries, who would have to fall below a specified income level to qualify for full benefits; or increased taxation of Social Security payments. But what if that doesn’t fix the problem? 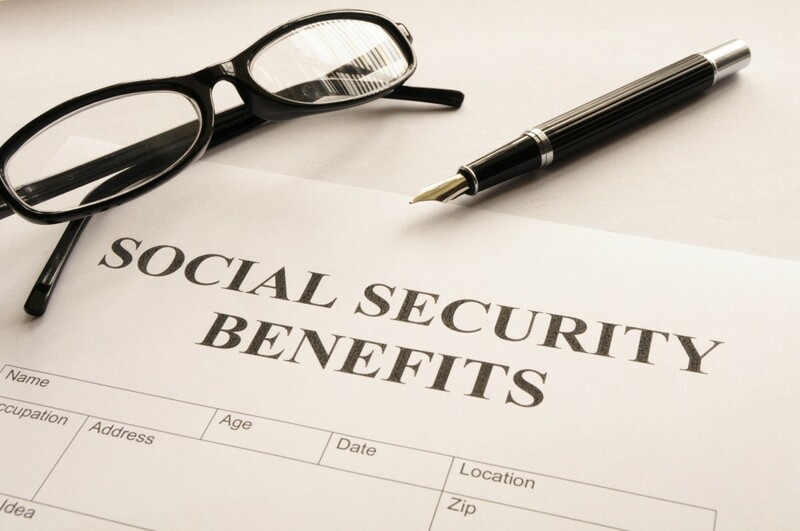 What if Social Security benefits are severely curtailed, or disappear altogether? What would such changes mean for your retirement? With the system in dire straits, it is only prudent to ask these tough questions and do some planning for this possibility. Suppose you and your spouse, both 65, together earn $100,000 a year before taxes. You’d like to retire now on 80% of your pre-retirement income. That’s $58,682 a year on an after-tax basis. Under current rules, Social Security will provide $32,405 annually. That leaves $26,277 a year you need to generate from other sources. To come up with $26,277 in annual income for your life expectancy through age 83, you and your spouse need a nest egg worth something on the order of $415,000 according to figures provided by Money Tree Software, makers of financial planning software for professionals. This calculation assumes a 2% inflation rate, a hypothetical 4% after-tax return and that you’ll both live 19 years during retirement-from your 65th birthday to the eve of your 84th birthday. It also assumes Social Security benefit will rise 2% each year. But if Social Security is cut back, your savings will have to work harder. If you receive only 50% of today’s $32,405 annual benefit, you’ll need a nest egg of $668,500 at retirement-an additional $253,500. With no Social Security at all, you’d need $923,000 at age 65 in order to pull down $58,682 a year for 19 years. That’s $508,000 more than you’d need if you are able to receive your full Social Security benefits. Of course, it is unlikely that the government will slash so drastically benefits to current retirees. But it is prudent to expect that over the next decade, a cut of such magnitude could occur. So consider what would happen if you and your spouse are 45 now and want to retire in 20 years. Starting at age 45, and assuming a 2% rate of inflation, you’d need to save $530,000 by retirement to have the same purchasing power as today’s $415,000 in the previous example. Then, assuming a hypothetical 4% annual after-tax return on assets during retirement, you’d exhaust your nest egg during the 19 years of retirement, according to Money Tree Software’s analysis. And that assumes you receive full Social Security benefits. In these Social Security cuts would put you in an even deeper hole. The higher your retirement income goals, the smaller the proportion that will come from Social Security. But whatever your income in retirement, you’ll notice something missing if the program changes. For years the insolvency of Social Security has been discussed, but now the reality is nearly upon us. Planning for it can help ease the pain.